It's a long way toa million, right?Of course it is.But do you really knowwhat a million looks like? If you'd like to see -- actually see, right now, with your own eyes -- what a million looks like, just open this book. Be prepared to learn some interesting things along the way. Like how many shoe boxes it would take to make a stack to Mount Everest. And be prepared to do some number wondering of your own. But, most of all, be prepared to be amazed. 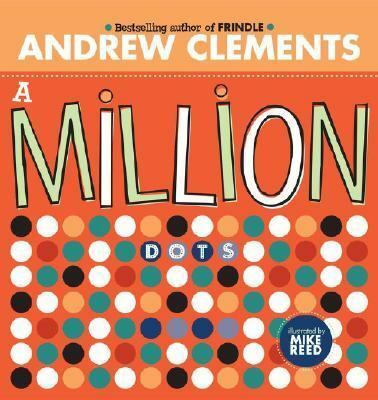 Because a million is a LOT of dots.Clements, Andrew is the author of 'Million Dots', published 2006 under ISBN 9780689858246 and ISBN 0689858248.